How Many Times Can You Load Remington Gun Club – PROJECT 20 GAUGE EDITION! Remington Gun Clubs are world renown for their quality components and performance. We really put them through the paces this time and see just how good they really are.… Read More How Many Times Can You Load Remington Gun Club – PROJECT 20 GAUGE EDITION! How Many Times Can You Load Winchester Super X- PROJECT 20 GAUGE EDITION! 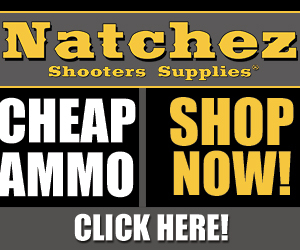 Winchester Super X loads are a great bang for your buck load, when found on sale. Different manufacturers use various grades of plastics and dies which affect hull longevity. One thing we learned in this series is that the only thing certain is uncertainty.… Read More How Many Times Can You Load Winchester Super X- PROJECT 20 GAUGE EDITION! How Many Times Can You Load Winchester Universal- PROJECT 20 GAUGE EDITION! Winchester Universals are a loading joke in the 12 gauge as we have proved in a prior video, but will the 20 gauge prove the same? Judge for yourself.… Read More How Many Times Can You Load Winchester Universal- PROJECT 20 GAUGE EDITION! Loading Component Calculations – We Review How To! Do YOU know how much is needed and how much is too much? You’d better. We go through and review component calculations and how to ensure you have enough supplies on hand to weather the next false flag induced shortages in the shooting sports! Get prepared people? Knowledge is priceless and it weighs nothing!… Read More Loading Component Calculations – We Review How To! How Many Times Can You Load Federal Gold Metal Hulls? -PAPER EDITION! Paper hulls have always been mysterious to many shooters, but can they withstand the pressure of multiple loads or fizzle out? Let’s find out.… Read More How Many Times Can You Load Federal Gold Metal Hulls? -PAPER EDITION! How Many Times Can You Load Rio Select- PROJECT 20 GAUGE EDITION! In this series we review just how many times reloading shotgun hulls is too many. With the plethora of 20 gauge offerings, it doesn’t take long to feel overwhelmed at your sporting goods store. Rio, the “newcomer” to the shotgun sports located in Texas, is next up in our search for the perfect hull. We’ll… Read More How Many Times Can You Load Rio Select- PROJECT 20 GAUGE EDITION! Top 10 BEST Shotgun Hulls – 12 GAUGE EDITION! You asked for it and we brought it, the TOP 10 BEST Shotgun Hulls to load for the 12 GAUGE!. We go through and summarize what we gleamed from months of testing and loading!… Read More Top 10 BEST Shotgun Hulls – 12 GAUGE EDITION! How Many Times Can You Load Winchester XPERT 3 inch STEEL Hulls ? – WATERFOWL EDITION! In this series we review just how many times reloading shotgun hulls is too many. These Winchester Super X Xpert 3 inch Steel loads are not what they appear on the surface. We all know the high cost of steel waterfowl shotgun shells can put the hurt on a good day in the field, but what if you could load some yourself? Are these THE hulls for loading your own?… Read More How Many Times Can You Load Winchester XPERT 3 inch STEEL Hulls ? – WATERFOWL EDITION! One Weird Trick for Your RCBS Press. Barrel De-Resonator by Limbsaver – Does it improve accuracy?